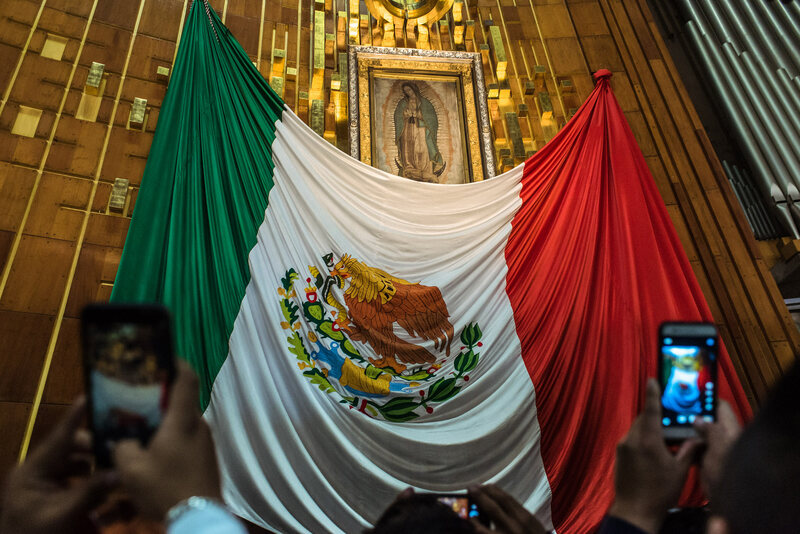 Over the past 500 years La Virgen de Guadalupe has evolved into a powerful symbol of political, cultural and religious identity for Mexicans and Latin Americans all over the world. 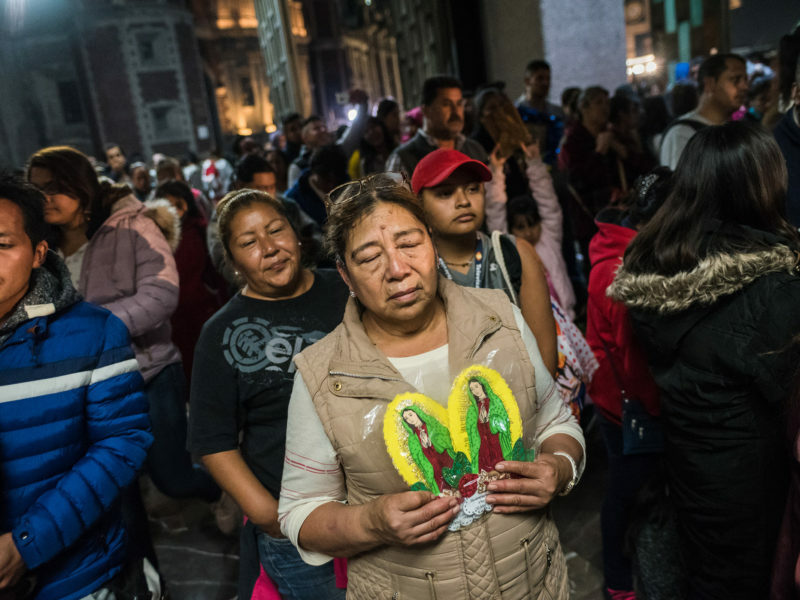 Many indigenous today still see Guadalupe as a syncretic mixture of Mary and Tonantzin, the Aztec mother goddess who was worshipped on the same hill at Tepeyac before the Spanish forced the Aztecs to convert. 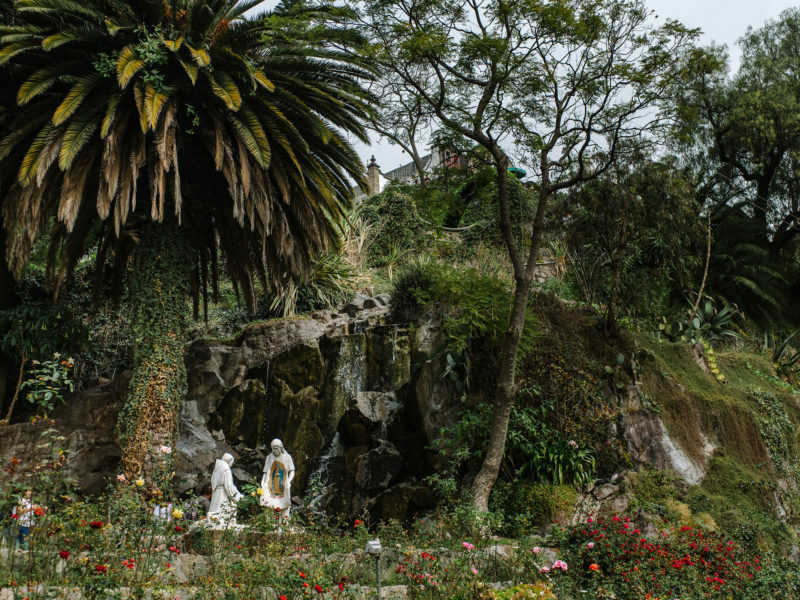 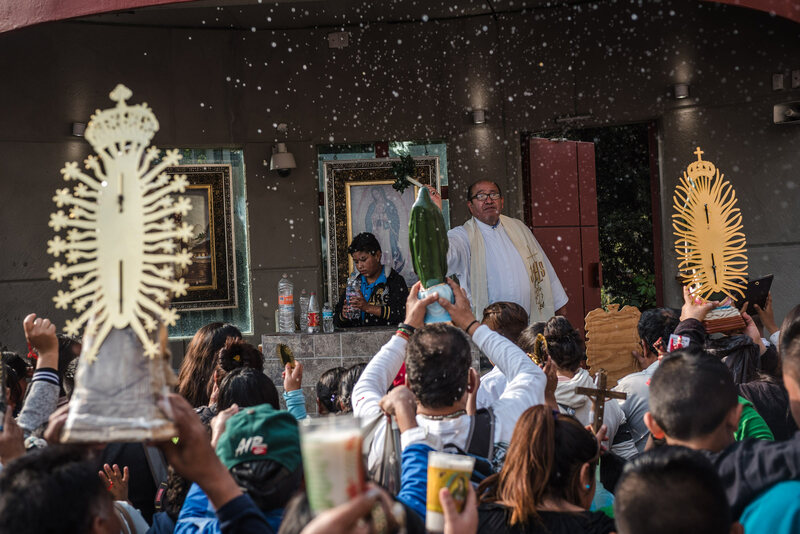 It’s a history of colonialism and devotion in a growing mestizo nation, and in many ways Guadalupe veneration is just as complex today as it was half a millennium ago. 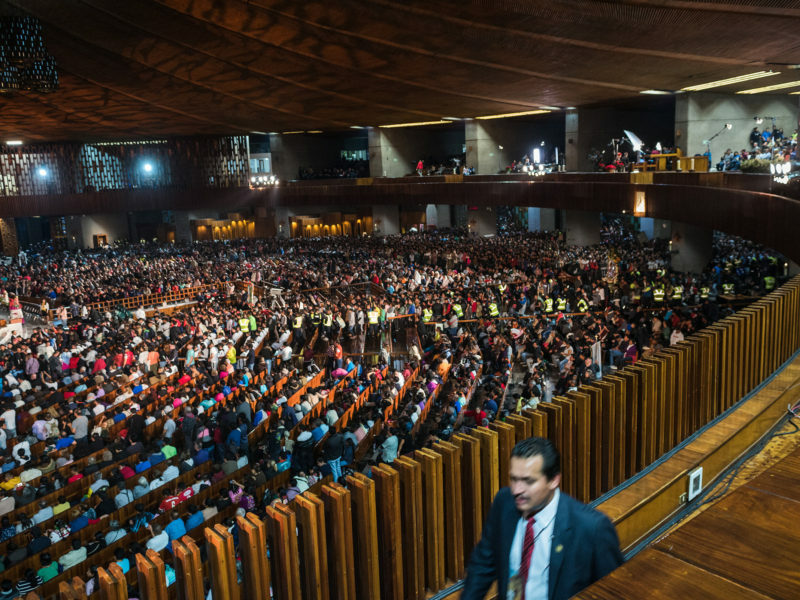 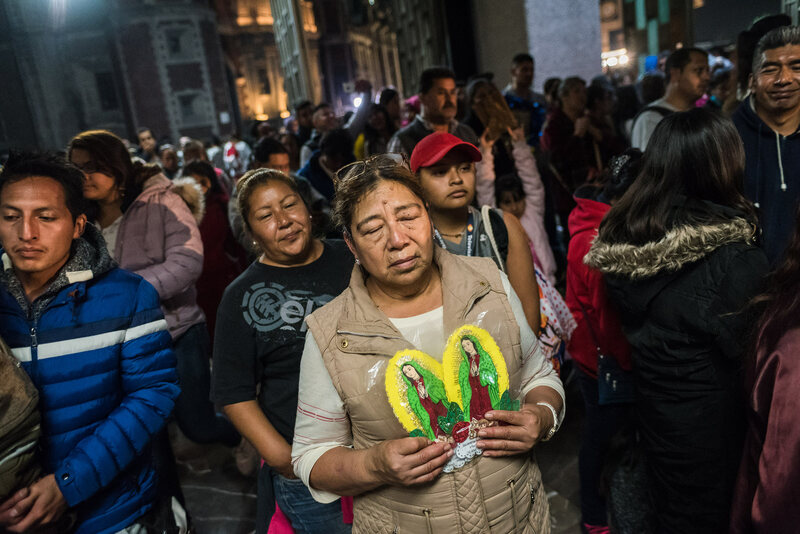 In December 2018 I covered the annual pilgrimage to the Basilica of Guadalupe at Tepeyac in Mexico City, where 9 million pilgrims visited. 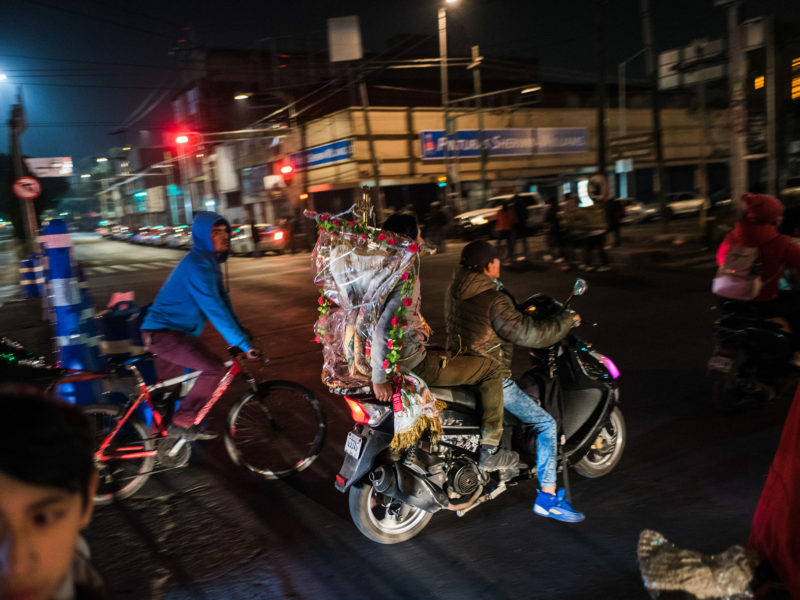 When news from Mexico often revolves around drugs, violence and poverty, it’s important to show that the country is more beautiful and culturally rich than how it is usually seen in the media. 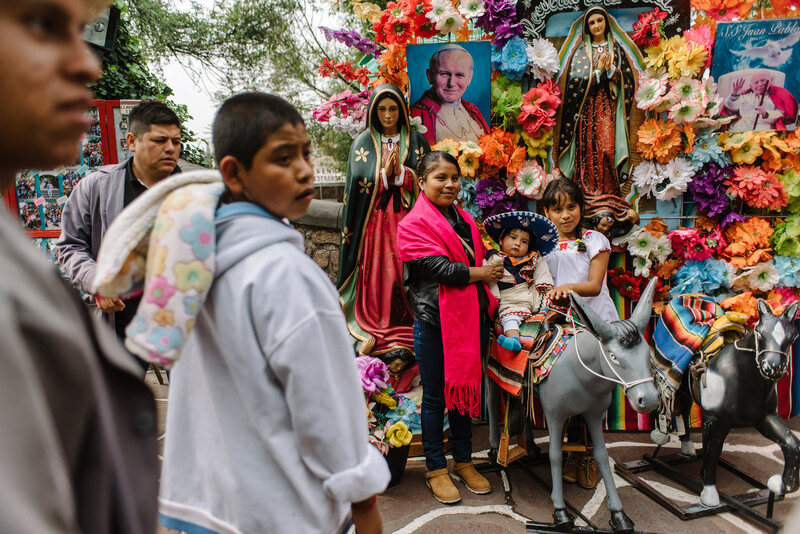 This is a celebration of national identity and it was one of the most beautiful and fascinating assignments I’ve ever shot. 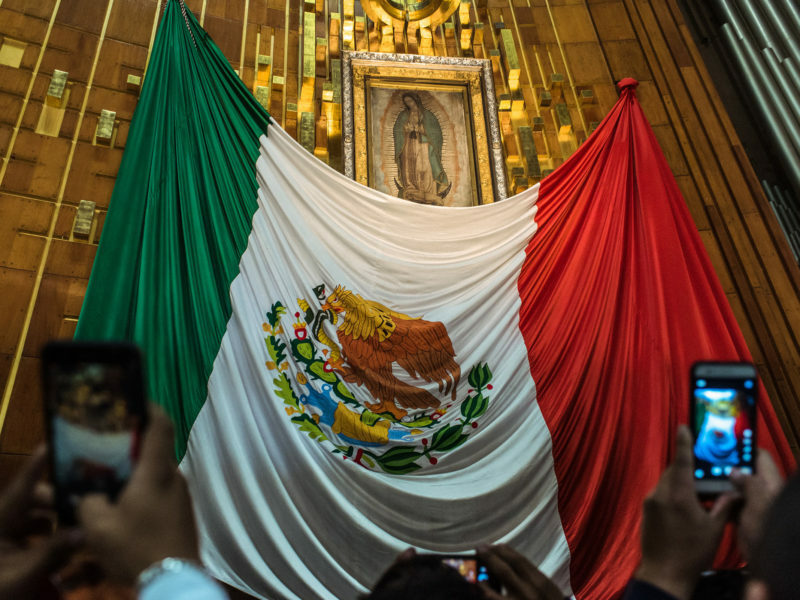 As a Mexican-American who went to Catholic school, the image of Guadalupe has been a presence my whole life, and it was a personal and professional highlight to finally see its origin in such culturally radiant colors. 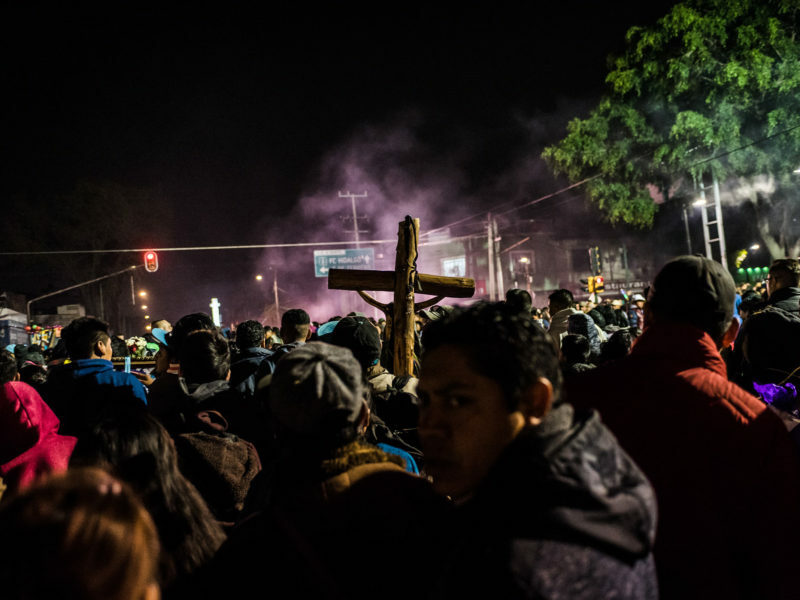 This story was inspired by Dr. Davíd Carrasco, chair of Latin American Studies at Harvard University. 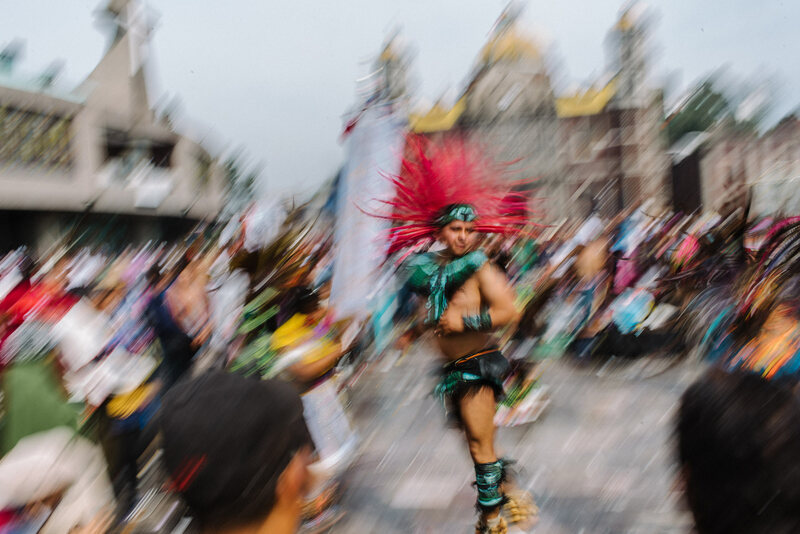 Last year I took his anthropology class “Moctezuma’s Mexico Then and Now: The Deep History, Triumphs, and Transformations of the Aztecs and their Descendants” and it transformed the way I think about Mexico, its culture, history, and religion. 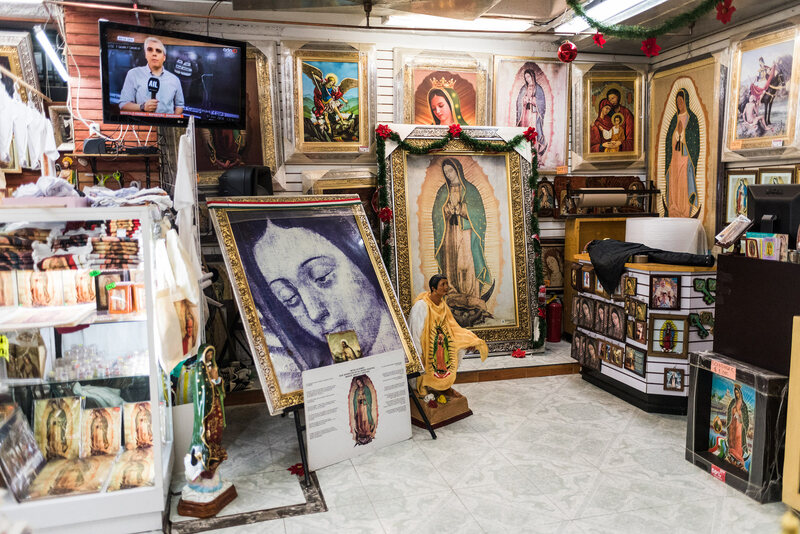 I wrote a research paper on the deep history of Guadalupe worship and how Aztec spirituality continues to influence how the people of Mexico understand and worship Our Lady of Guadalupe today. 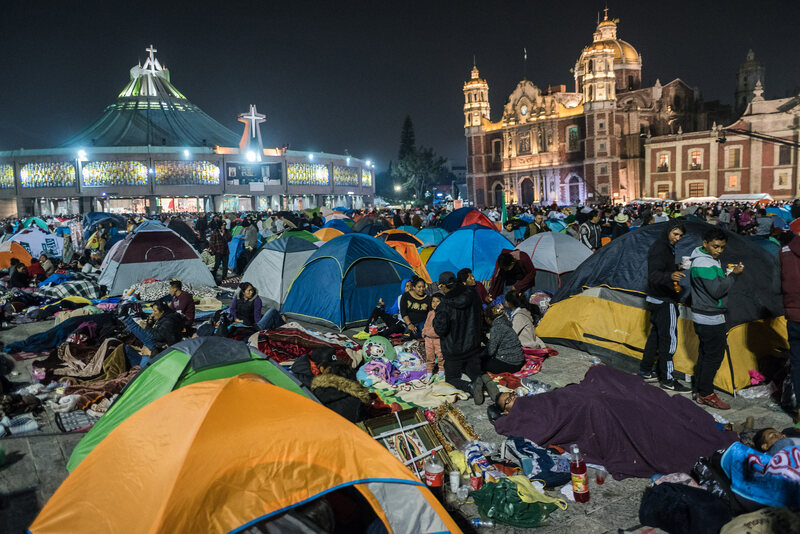 The academic paper can be read here for anyone interested in this topic. 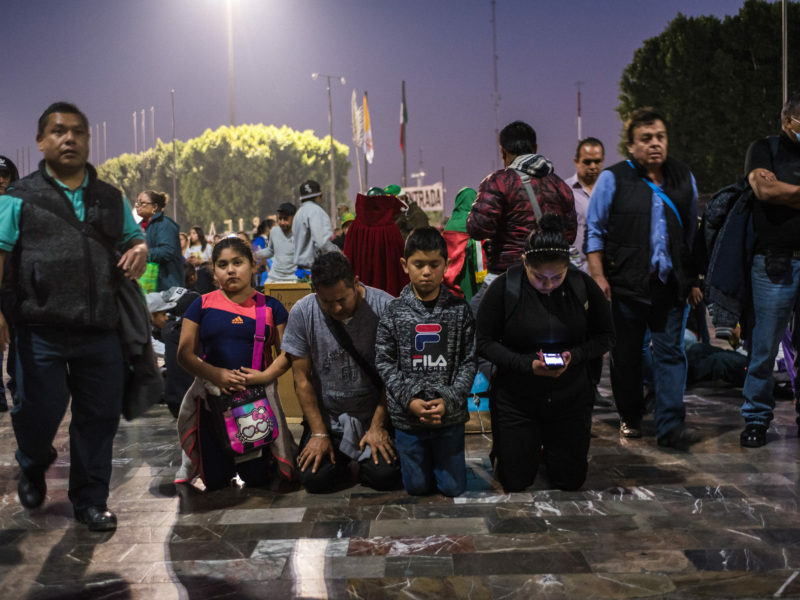 Jesús Vicuña, 17, walks on knees towards the Basilica of Guadalupe. 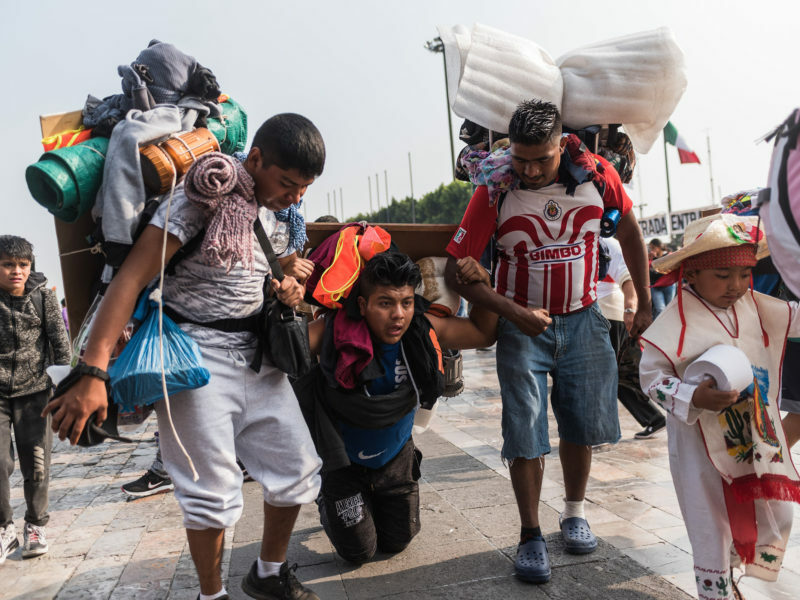 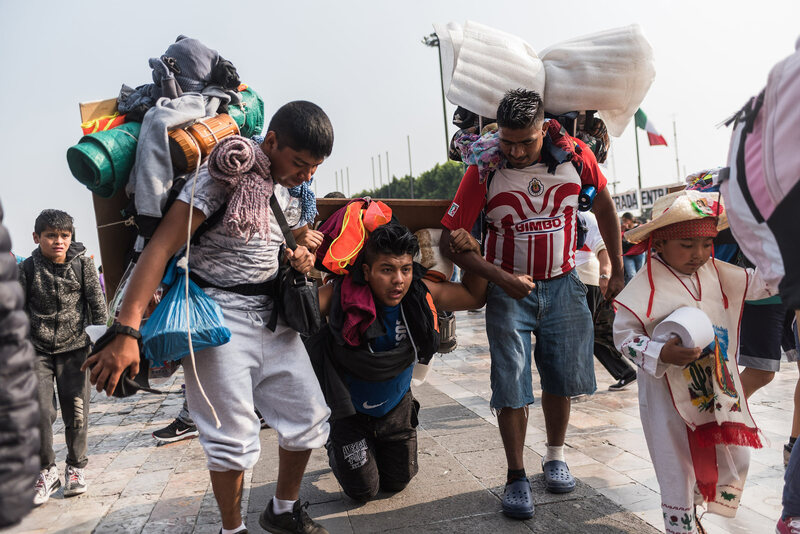 His friends, José Arturo Rojas Perez, 19, left, and Javier Francisco Camacho, 20, right, help him in the last leg of the walk. 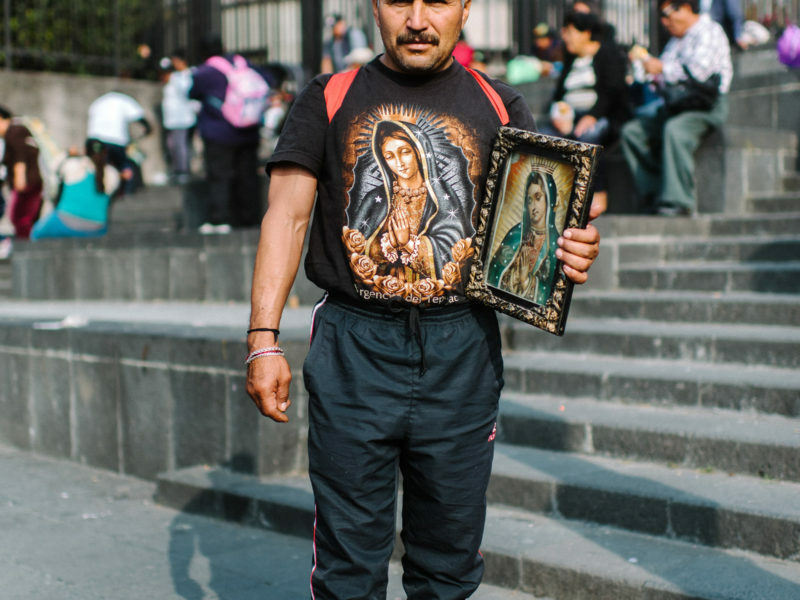 Some peregrinos choose to walk on their knees as a sign of veneration and sacrifice to the Virgen. 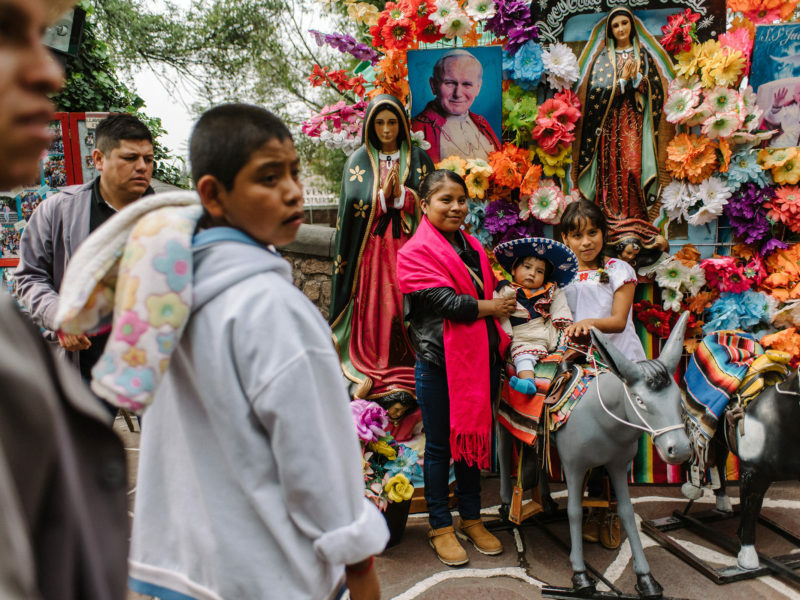 A young boy dressed as Juan Diego looks at the original "tilma" found by Saint Juan Diego in 1531. 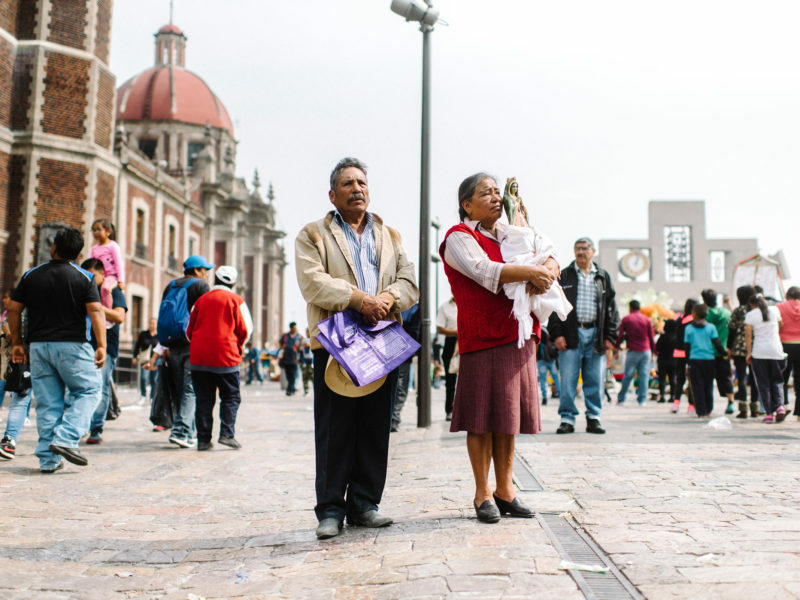 Augustin Maria, left, and his wife, Lucia Maria, right, stop to look at the Basilica of Guadalupe. 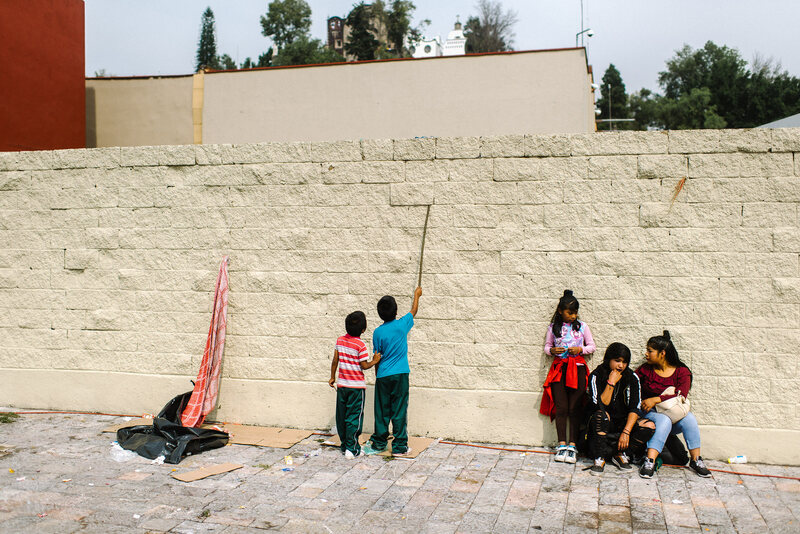 Children pose for a picture on Tepeyac Hill at the Basilica of Guadalupe. 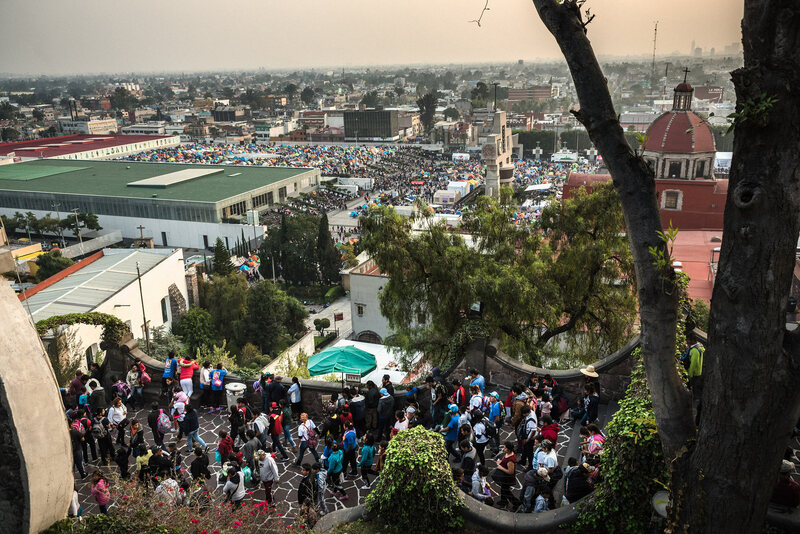 A view of the plaza at the Basilica of Guadalupe, from the top of Tepeyac Hill. 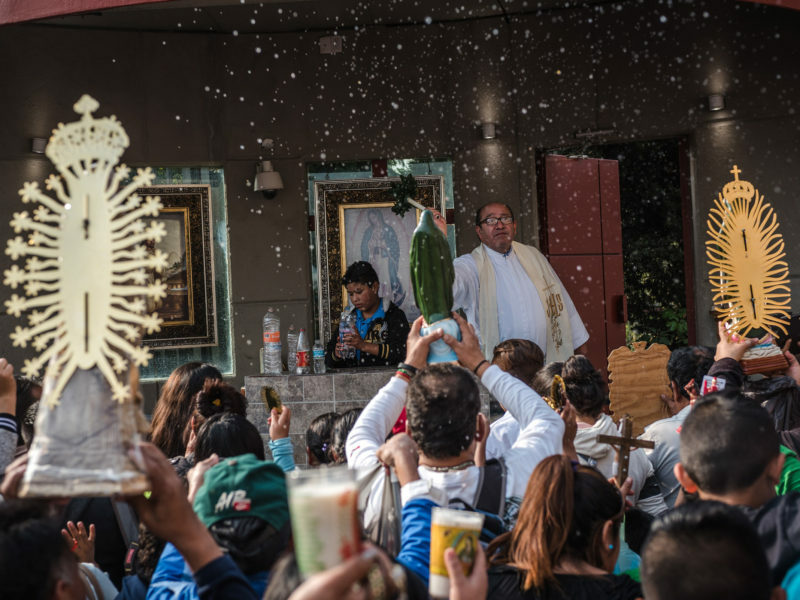 A priest splashes a crowd with holy water in the plaza at the Basilica of Guadalupe. 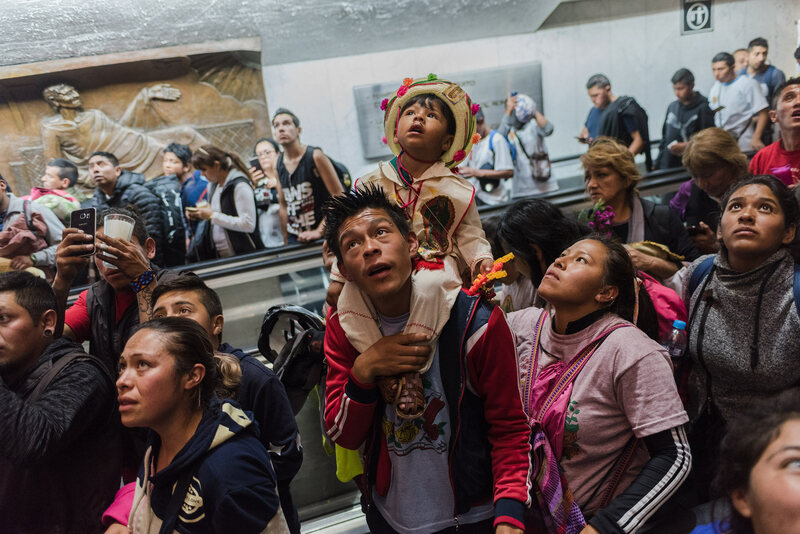 The pilgrimage and the December 12th Catholic feast day is one of the largest religious pilgrimages in the world. 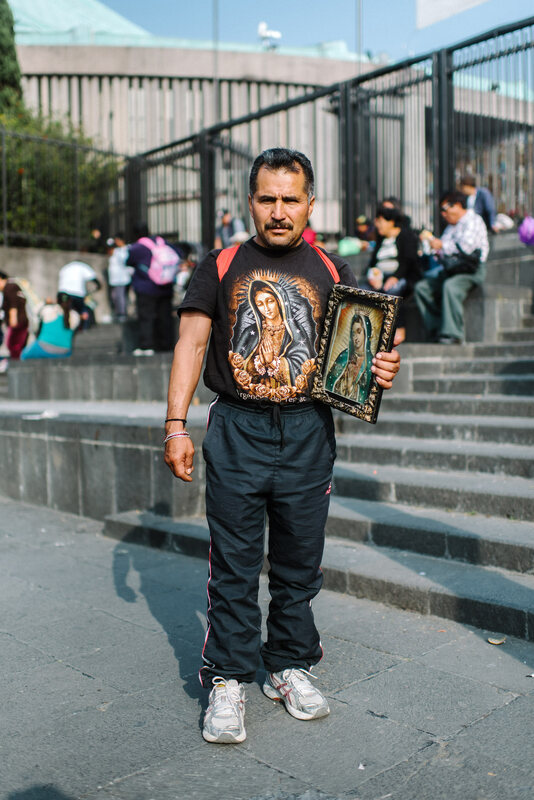 Eusebio Garcia Peralta, of Oaxaca, stands outside the entrance to the Basilica of Guadalupe. 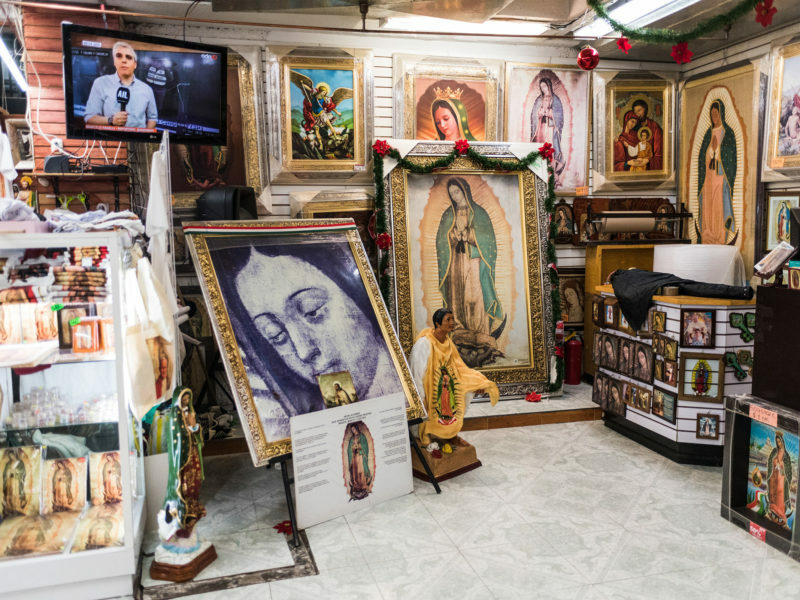 Devotional paintings and statues of the Virgen de Guadalupe are sold at a shop just outside the Basilica of Guadalupe. 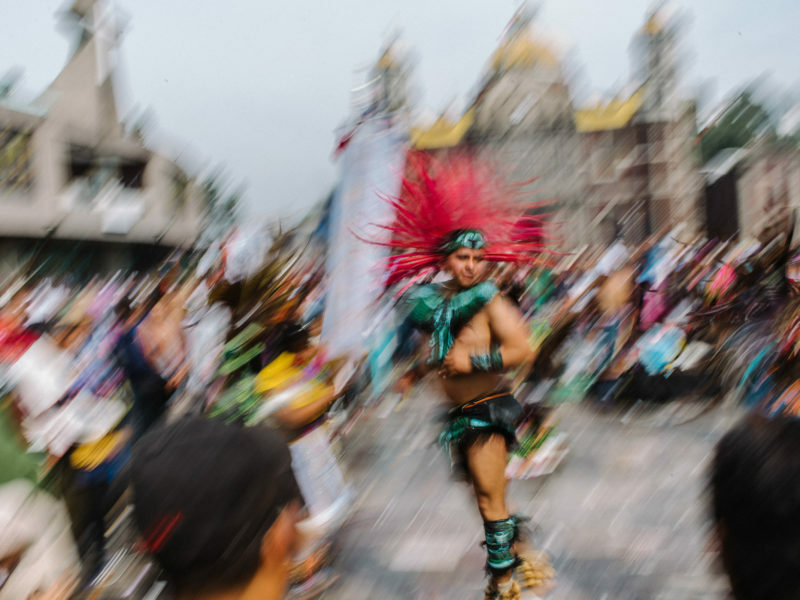 An indigenous dancer in the basilica's courtyard. 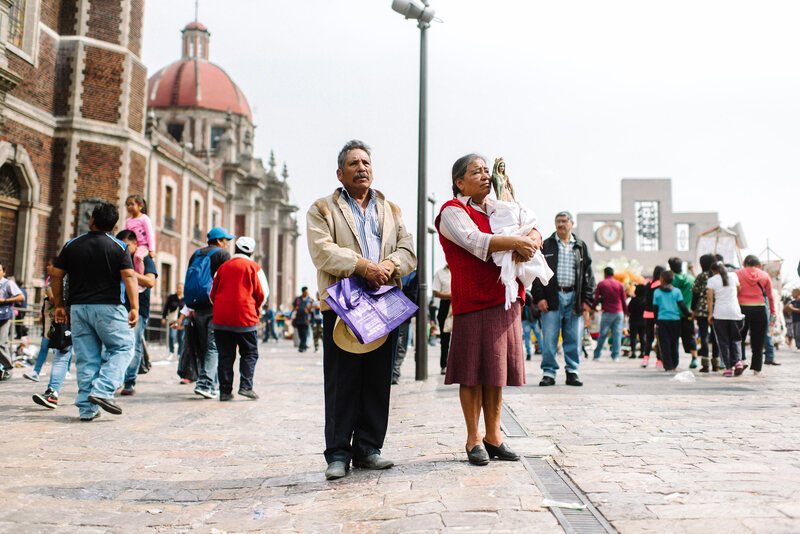 For many indigenous Mexicans, Aztec spirituality is still an important part of Guadalupe worship. 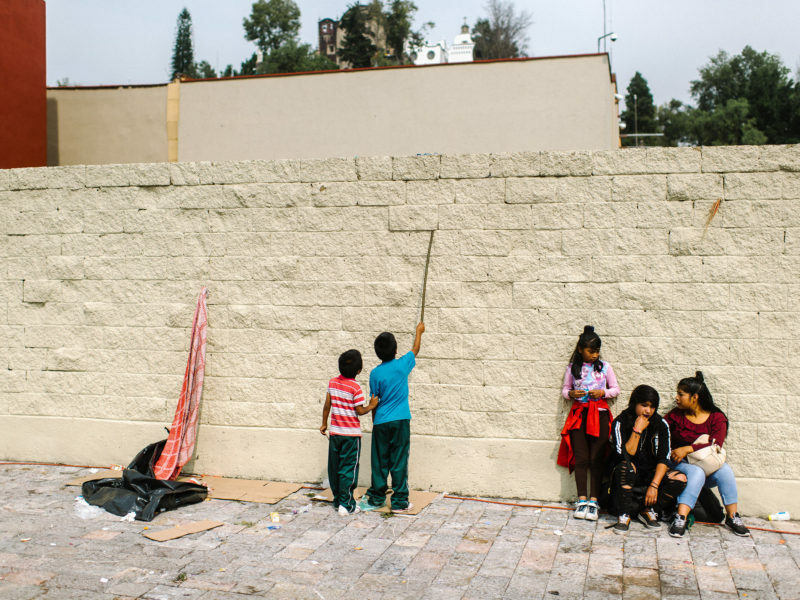 Children play in the basilica's courtyard on December 12, 2018, the Feast Day for Our Lady of Guadalupe. 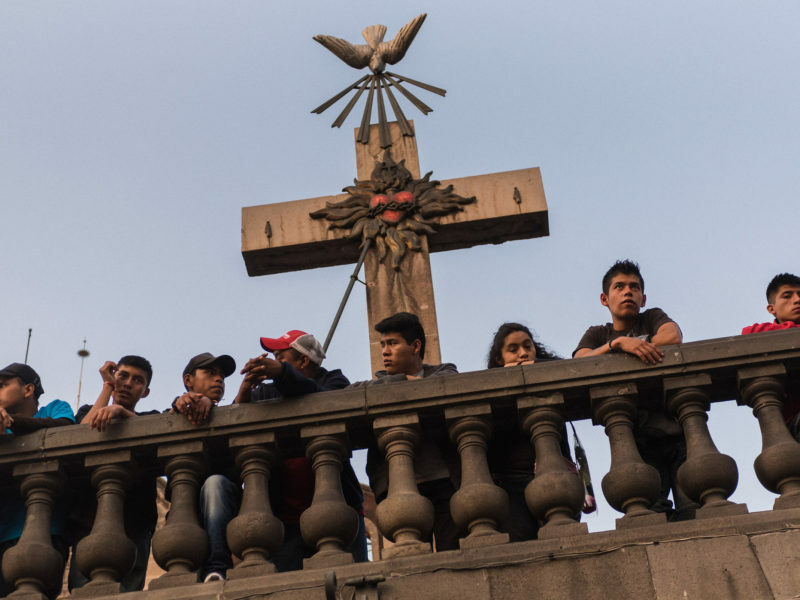 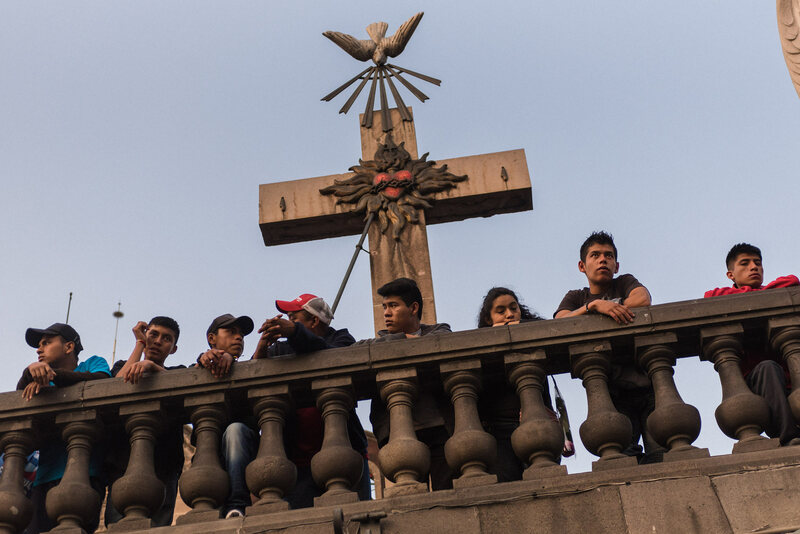 People look over a balcony from the top of Tepeyac Hill at the Basilica of Guadalupe. 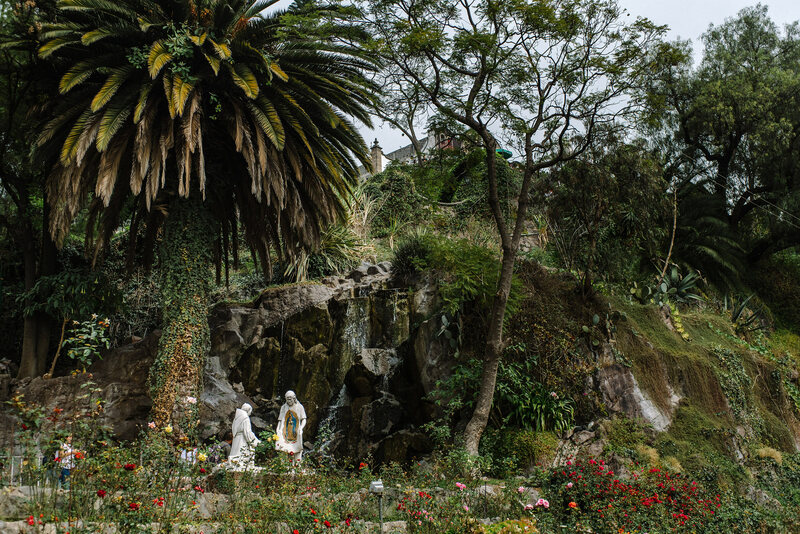 A statue of Juan Diego and Juan de Zumárraga, the first bishop of Mexico, on Tepeyac Hill. 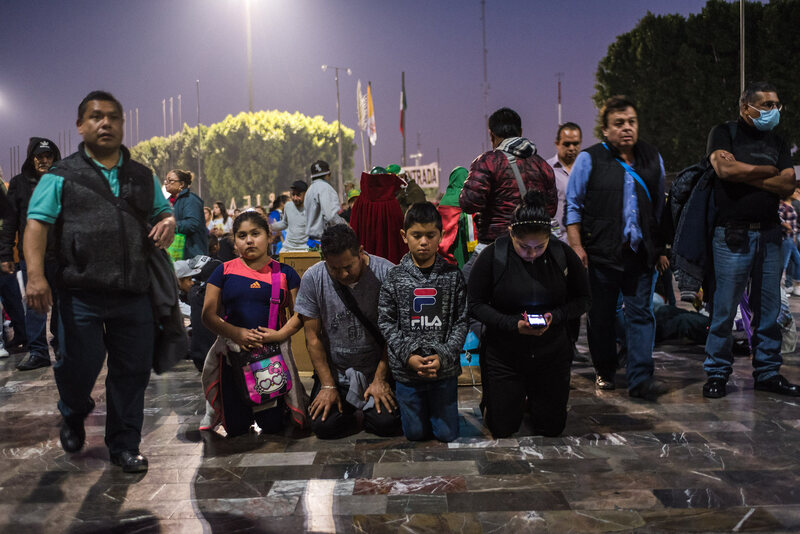 A family kneels and prays as they reach the Basilica of Guadalupe on the night before the December 12th feast day to celebrate the Virgen de Guadalupe. 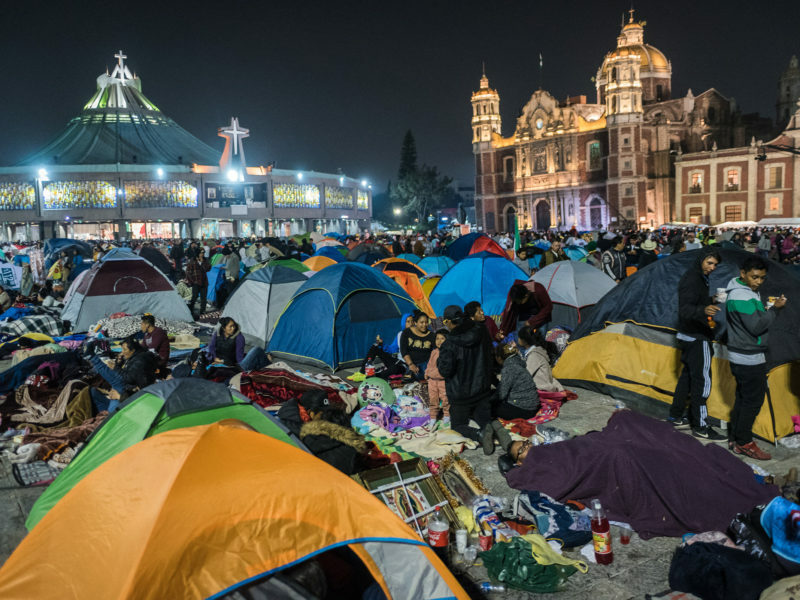 Thousands of visitors set up tents in the plaza of the Basilica of Guadalupe, the night before the main celebration for the Virgen de Guadalupe feast day begins on December 12. 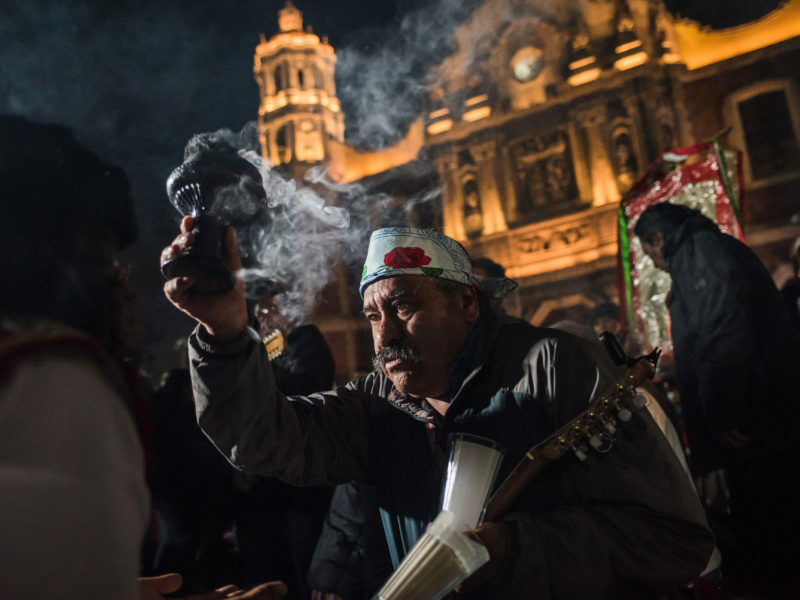 A group of musicians blesses each others' instruments outside the Basilica of Guadalupe. 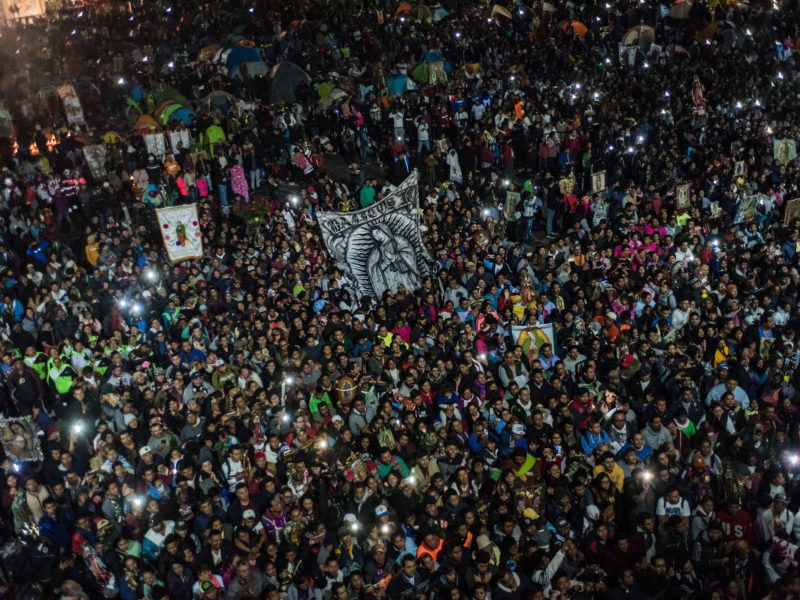 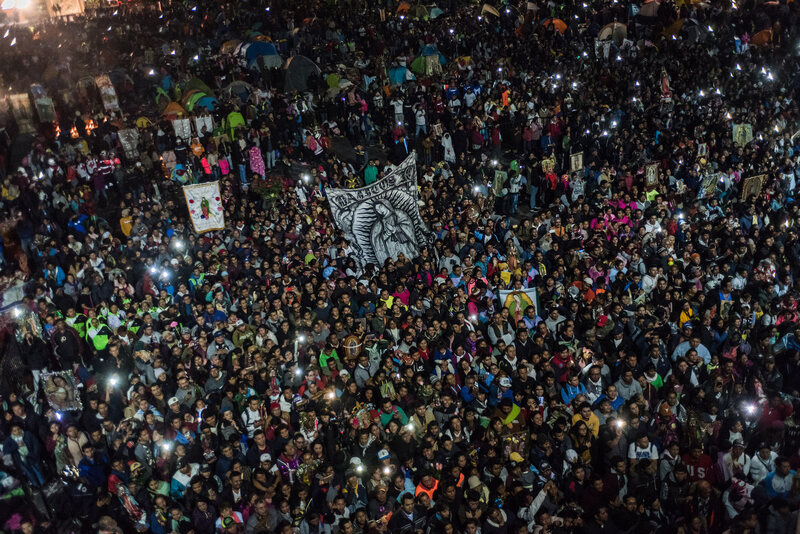 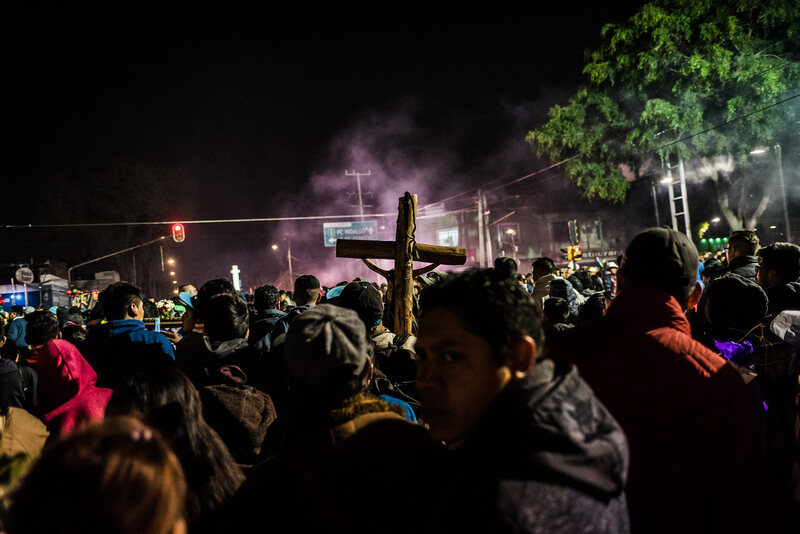 The crowd outside the Basilica of Guadalupe sings a "Mañanitas" on the night before the feast day celebration. 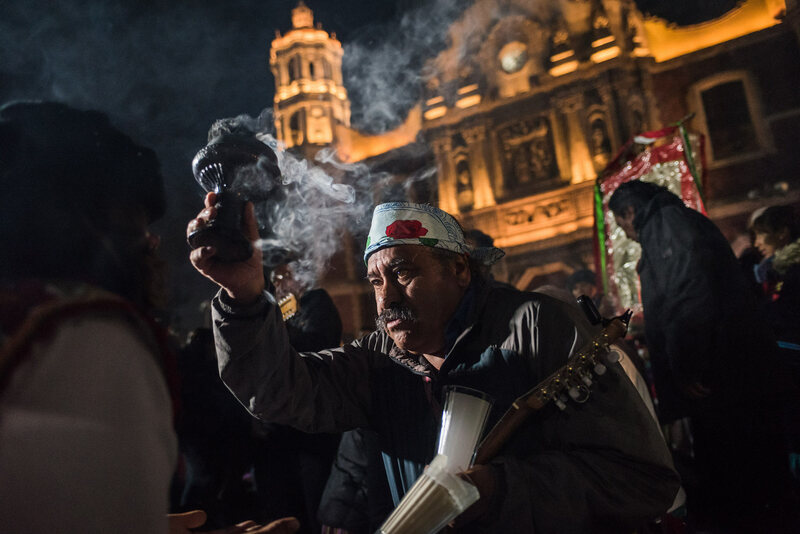 A Mañanitas is a traditional Mexican song that is sung early in the morning before a celebration or birthday. 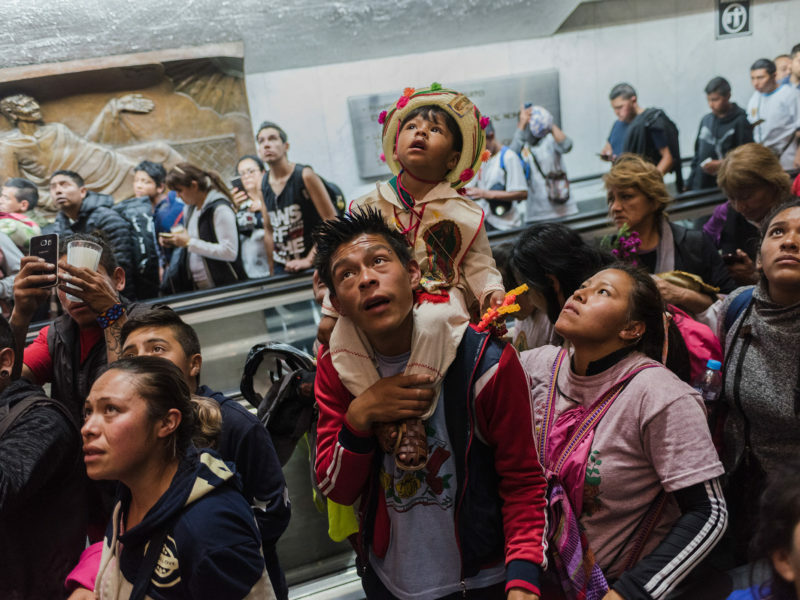 Esperanza Salinas, of San Cristóbal Zapotitlán, prays inside the Basilica of Guadalupe. 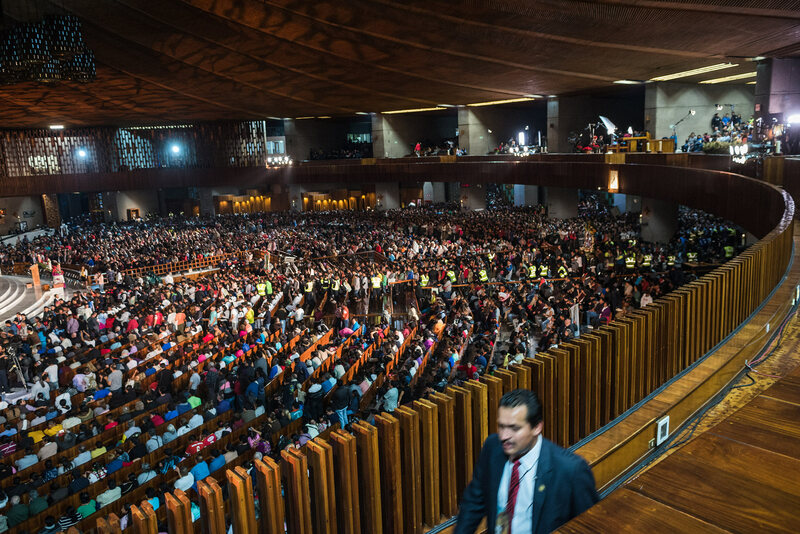 The inside of the Basilica of Our Lady of Guadalupe in Mexico City. 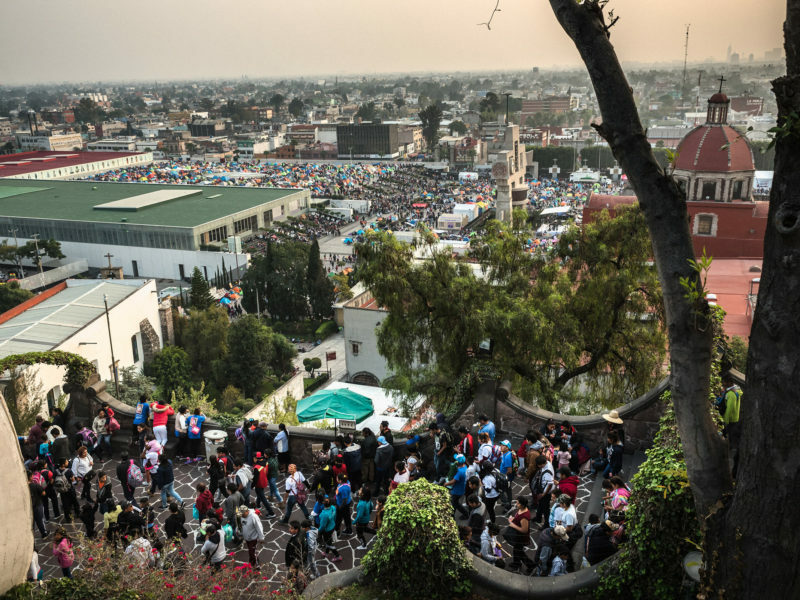 A dense line of people waiting to get into the Basilica of Guadalupe went back for over one mile along the Calzada de Guadalupe. 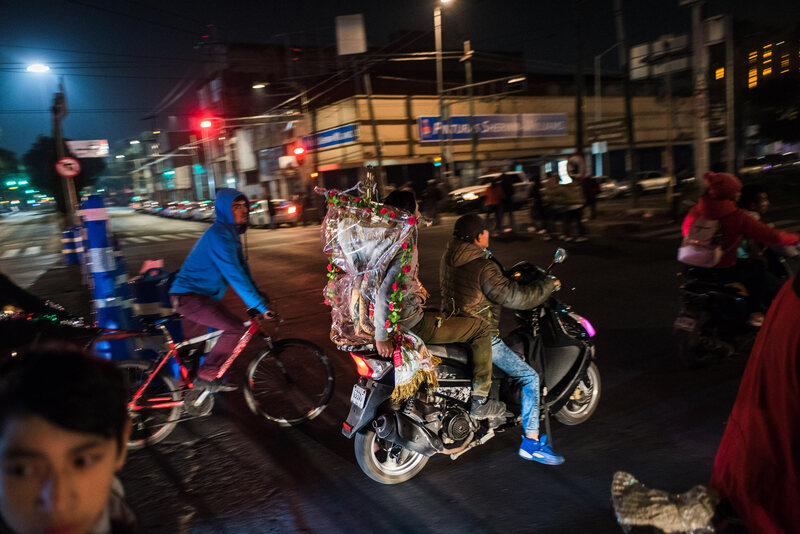 People leave Guadalupe celebrations on bikes and motorcycles, one visitor's Guadalupe devotion tied to the back of the motorcycle.